This topic contains 7 replies, has 2 voices, and was last updated by Nayem 4 years ago. hi. i am having trouble finding one of the new features. oohh. That's where it is. I really want this feature. But, i developed a customized shipping option that is very complex to fullfil my Brasilian demands. So i can't use dokan shipping. Is it possible to use this feature without overriding the default shipping cost? 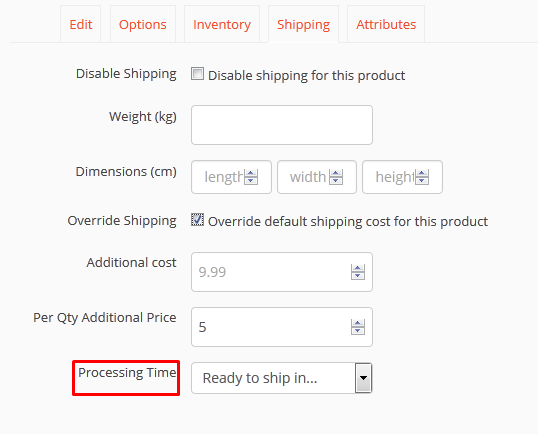 The topic ‘– [new] Added shipping processing time for individual product’ is closed to new replies.